Magazine Deals - Health, Food & Wine, Southern Living + More! I just came across a few great deal on Magazine Subscriptions that we don't see come around very often! -Health Magazine - Buy one, Give one FREE! Save 89% off the cover price, get 2 Yearlong subscriptions for only $9! -Golf Magazine - Buy one, give one FREE! This makes a great gift for all the golf fans out there. Get 2 yearlong subscriptions for just $10! That is less than $0.50 an issue! -Get a year of Food &amp; Wine, and Give a year for FREE! This offer brings the price down to less than $1 per issue! No Code needed Valid through 12/31. -This Old House - Buy one, Give one FREE! Save 83% off the cover price and get two yearlong subscriptions for just $16! -Get TIME magazine and give a gift subscription for FREE! No code Needed, Get two year-long subscriptions for just $30. Save 94% per issue! 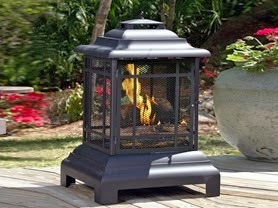 -Get one year of Southern Living for just $5! Save 92% off the cover price when you use code SLJUST5 at checkout! Valid while supplies last thru 12/31. If you're heading to Target today here are a few additional deals you may want to check out while you're there! Here's a look at price cuts, stackable coupon deals and more this week. Keep in mind that price cuts WILL vary per store! 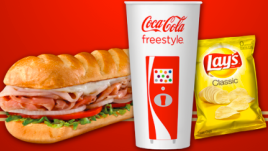 = FREE – 19¢ after printable coupon! Xbox Live is offering up to 100% off select games as part as it's Countdown To 2014 Game Sale. Discounts will reflect on the product page so make sure to check back as new games are added. Today ONLY, get this Rubbermaid 60 Piece Plastic TakeAlongs Set for only $19.88 (Retail $65). Head on over to the Firehouse Subs Facebook page, 'Like It" so you can print a coupon valid for a Free Medium Sub when you buy a Sub Combo (Sub, Chips &amp; Medium Drink). This coupon is valid 12/28-12/30 and is limited to one use per person. These can also be given as gifts too! 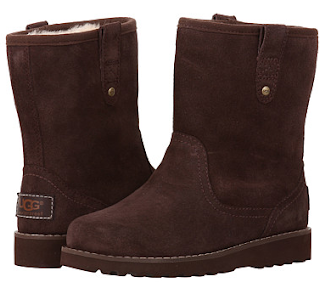 6pm has UGG's on sale today with prices up to 70% off. One of my favorite deals is these UGG Kids Redwood (Toddler/Little Kid/Big Kid) Boots on sale for $84.50. Right now you can get a OtterBox Defender Series Rugged Protection iPhone 5 Case - Your Choice for $7.99 (Retail $24.99). Choose from Purple, Blue, Pink or Different Camos.